Cell Biology There are 25 products. Plant cell only. Grades 5 - 12. Our cell models are 8" in diameter and have colorful, easily identified features. Available separately or as a set of 2. The set includes a teacher's notebook with 2 overhead transparencies, glossary and key structure. Animal cell only. Grades 5 - 12. 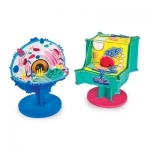 Our cell models are 8" in diameter and have colorful, easily identified features. Available separately or as a set of 2. The set includes a teacher's notebook with 2 overhead transparencies, glossary and key structure. Grades 5 - 12. Our cell models are 8" in diameter and have colorful, easily identified features. Available separately or as a set of 2. 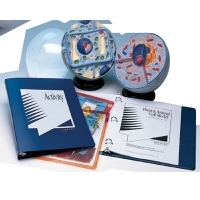 The set includes a teacher's notebook with 2 overhead transparencies, glossary and key structure. Plant cell only. Grades 3 - 8. These resilient, colorful EVA foam models feature removable parts. The Teacher's Manual has labs, reproducible worksheets and cross-curricular labs. Available separately or as a set of 2. Animal cell only. Grades 3 - 8. These resilient, colorful EVA foam models feature removable parts. The Teacher's Manual has labs, reproducible worksheets and cross-curricular labs. Available separately or as a set of 2. Grades 3 - 8. These resilient, colorful EVA foam models feature removable parts. 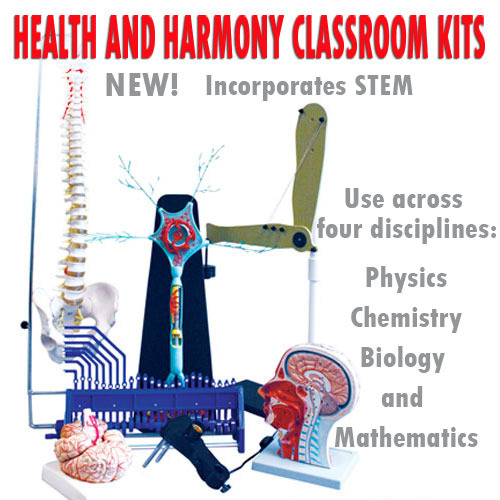 The Teacher's Manual has labs, reproducible worksheets and cross-curricular labs. Available separately or as a set of 2.